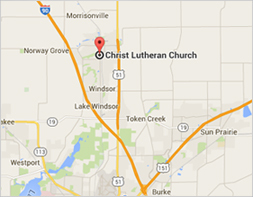 Thank you for supporting Christ Lutheran Church and God’s work! It’s easy to give either by credit card or a draft directly from your bank account. You can also choose a one-time donation or set up recurring offerings on either a weekly or monthly basis. You will be able to direct where your donation goes, such as to the general, building, mission funds and more. Memorial donations can also be done online as a one-time donation. Click the button below to get started. It’s time to make your pledge. If you haven’t had a chance to submit your pledge card, there’s still plenty of time. Below you will find pledge card copy that you can open, print and submit to the office. There is also a button below where you can submit your pledge electronically.